Mortimer describes to Holmes and Watson the Baskerville curse. According to old accounts, during the Civil War Hugo Baskerville fell in love with a farmer’s daughter. He kidnapped her and imprisoned her in his bedroom only for her to escape. The furious and infatuated Baskerville offers his soul to the devil if he could reclaim her and he pursues her onto the moor. Later Baskerville and his victim were found dead. She had died from fright, but a giant spectral hound stood guard over Baskerville’s body. The hound tore out Baskerville’s throat and then vanishes back out onto the moor. With The Hound of the Baskervilles, Conan Doyle returned to Holmes and Watson eight years after Sherlock’s apparent death in the Final Problem. 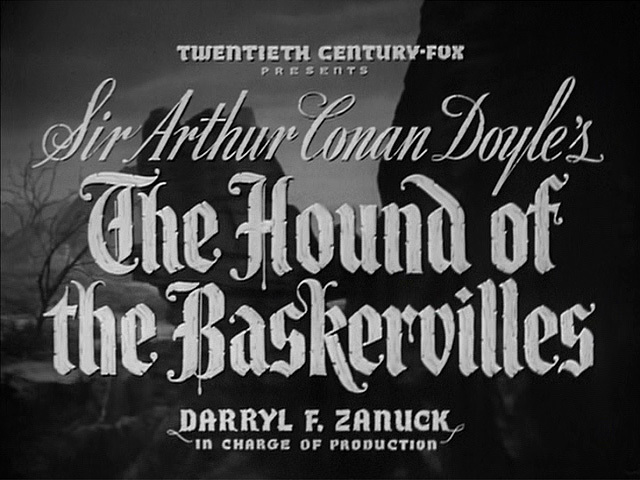 Today, Baskervilles has arguably become one of the definitive Sherlock Holmes stories and most likely the best well known. Its success at the time lead to Conan Doyle reviving the characters two years later. Reading it back today, it turned out my memory of the book was fuzzy and no doubt muddled with the numerous adaptations I had seen over the years. I’d forgotten quite how atmospheric the book was with its depiction of Dartmoor and the troubled relationships that many of the characters lead. Conan Doyle also leaves Holmes out of much of the story, having Watson roam Baskerville Hall until he spots a lone figure on the moor. When he does return, the mystery of the hound is finally revealed.